Is a Vitamin D Level of 10 Bad? I went to the doctor (endocrinologist) he ordered my blood work and this time because my Lupus was acting up, he ordered vitamin D to be checked. It was 10 ng/ml. He called in a prescription vitamin D.
So is a vitamin d level of 10 bad? And is the folding of my hip and degeneration of my spine connected with the D? I am 45 and doctors have questioned my lack of vitamin D for more than 20 years but this is the first time I have had to take anything. One lab even sent my bloodwork back saying no vitamin D was found, that was 5 years ago. Comments for Is a Vitamin D Level of 10 Bad? I am so sorry to hear about your health problems. I'm not sure what a 'folding hip' is, but a degenerated spine at 45 years old! Yipes, that is a big problem. You'll need that spine for another 45 years. So, yes a Vitamin D level of 10 is not good. It's MUCH better than the ZERO that you had 5 years ago, but you definitely need to be treated aggressively to get your levels up to the Researcher Recommended Optimal Levels. And while I'm glad that your doctor is now worried about your Vitamin D Level and wants to do something about it, he is doing you a disservice by giving you a prescription for Vitamin D. Researchers are stating that Prescription Vitamin D is Not Suitable for Supplementation. So, you should print out the research study on that page, sit down with a highlighter pen and highlight the important parts and take it in to your doctor and ask him why he is giving you a form of Vitamin D that researchers do NOT recommend and that other countries have replaced with Vitamin D3 in their formularies!!! Then you should consider taking Vitamin D3 Supplements instead. And Lisa, while I'm generally not a big fan of taking doctors to court for malpractice and recommend it EXTREMELY rarely, it really sounds like your doctors dropped the ball and neglected to care for you with an appropriate "standard of care". It is really NOT acceptable for them to be discussing that you might be Vitamin D Deficient for 20 years and not do anything about it. But what REALLY is negligent is the fact that they did a Vitamin D Level that registered undetectable and did nothing about it. That is negligence by anyone's standards and I highly recommend that you fill out the form on LegalMatch and see if you might have a malpractice case. Please come back and let us know how things are going, Lisa. I have had vitamin d deficiency, not near as low as yours. I cannot imagine the Pain From Vitamin D Deficiency that you must be experiencing. The doctors you were seeing are definitely in the wrong, that should of never went on. The doctors need to put you on Vitamin D3 Supplements ASAP. I have had severe joint pain for several years and even went to a neurologist because the pain in the back of my skull was so bad I could hardly turn my head. It hurt to even lay my head on a pillow. I was diagosed w/Rheumatoid arthritis, put on pain meds and was sent to 3 arthritis doctors because my ana is elevated. Every one of those Dr's had a different opinion. No one ever checked my Vit D. I did some research online and seen that joint pain could be caused from a Vit D deficiency, so I told my family Dr. and the results were 24. Although low he did not feel that level would cause joint pain, told me to take a multivitamin and sent me the 3rd rheumatoid Dr. In the meantime the pain in my joints was getting worse. I went to my OB/GYN for a yearly test,told her of the pain I was having, she looked at the results of my bloodwork and said I had a deficiency. She put me on a 5000 IU Vitamin D Supplement 2x a day. It's been almost 3 mths, and my level is 63 now I will continue with 2500 IU's every other day for a maintainance level. I feel 100 times better, I don't have all the pain I had been having. I also have been telling others of my experience and they have increased their Vitamin D, because of joint pain they were having and said they are feeling relief too. I was told a lot of doctors are not very educated with Vitamin D deficiencies. There are probably a lot of people out there not realizing that the pain they are experiencing Pain From Vitamin D Deficiency and are taking pills to curb the pain. My bloodwork came back with a 15.2 Vitamin D level. My Nurse Practitioner put me on 2000 iu's daily for 6 weeks and then I am to be retested. I also have high cholesterol...256...triglyserides were high too. I was put on 135 mg of Tripilx once a day. Before I had my blood tested, I was experiencing fatigue, sleepiness, upper and lower back muscle spasms, weight gain (unintentional), and just not feeling well. That is why I went in to the Dr. The nurse told me the Vitamin D deficiency was causing all my symptoms. I have been on the supplement treatment for almost 2 weeks, and I am still feeling tired...my hands and legs are swollen...and I am still not feeling any better! Could it be the triplix...? While I'm VERY happy that they caught your vitamin D deficiency, your doctor gave you about 1/4 of the dose that is required to bring levels up and about 1/2 the dose of what you need for an effective maintenance dose. What this means is that he gave you so little vitamin d that it won't even meet your daily needs and your levels could even DROP further on that dosage. Yipes! 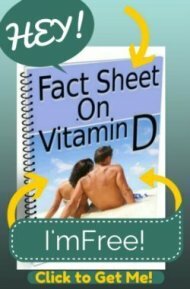 Please read my page on Vitamin D Therapy and follow the instructions to bring your levels up to optimal... 2000 IU's a day will not do it for you and I get people writing in after being 'treated' with that dose whose doctor then thinks something is 'wrong' with them because their levels don't come up. Then they spend tens of thousands of dollars on tests and immense amounts of worry and anxiety thinking that they have some major health problem when their only problem is a doctor who has no clue how to dose vitamin d.
My doctor says my vitamin d level is below 10 and they have to put me on prescriptions. should i be worried i hate medicine and dont not take any now. I have been gaining weight unexplainably and do get really back headaches, vertigo often and muscle ache everytime i wake up to the point that i was even considering buying a new mattress because i thought maybe my mattress was too soft or simply not good for my back. I hate milk and rarely eat fish so is there anything else I should eat to boost levels instead of the meds?? Thanks in advance for responding. Please read the thread again.. Please reread the thread and follow the blue underlined link to the Vitamin D Therapy page and simply follow the instructions there. My Vitamin D came back at a 15.2. I have been told that it is NOT a vitamin as stated above but a hormone produced that regulates many other functions of your body to include blood pressure. I have high blood pressure, weight gain, SERIOUS fatigue, headaches, my hips hurt so badly that some days it is a struggle to get up of the couch and some depression. They also found that my liver enzymes are high and have a small but benign set of nodules on my adrenal glands. The same test that brought back the 15.2 on my Vitamin D also had high chloride levels. I am at my wits end...seriously, I am beginning to think I am crazy with all these off the wall issues and am going broke with all the testing! Any support for this disorder? What disorder are you talking about? You have a vitamin deficiency. You don't need 'support' like you have a chronic illness, you need to resolve your vitamin deficiency. I have quite literally thousands of pages on this site dedicated to doing just that. I'm not sure what other kinds of 'support' you need besides the information to resolve your deficiency, which is on this site. I was feeling depressed and my whole body hurts my bones joints and muscles i can't sleep well. i go to a urgent care the dr did blood work. i then go to my regular dr. he ordered no blood work and gave me a perception for depression i told him but i dont think that's it i feel like its something else. he then said what is it take this medication for 6 months. i decided to do the blood work the other dr did and saw him for the results before i took the antidepressants and my vitamin d level was 10. and he said that can cause everything you are feeling. Now why couldn't my regular Dr do that?? What should i do.?? It wasn't that long ago that MD's either didn't routinely test for vitamin D, or lacked clear understanding that Vitamin D is tied to immune response. For instance, during breast cancer workups, immediately following the diagnosis, but prior to treatment, it was discovered that almost all patients had dangerously low levels of Vitamin D. 8, 11, 5, etc. They were immediately put on prescription of Vitamin D3 for 6 to 8 weeks, and then monitored with over the counter supplements (usually 1000 to 2000 units/daily) to keep them within normal range. 30 is considered lowest normal, with highest normal at 100. So it's really best to be somewhere in the middle of that range for optimal health. Vitamin D is so cruical for bone health, along with calcium. 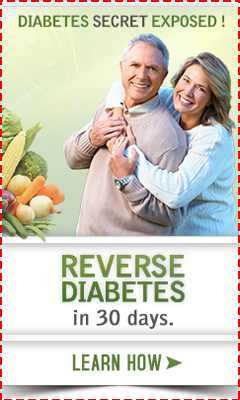 It also regulates so many other processes related to immunity to disease, fatigue and more. I speak as a breast cancer survivor and a health care provider. Get Vitamin D labwork, know your number, get treated if it's needed, maintain good levels for maintenance of health, but also to fend off possible diseases. Spend 10 minutes a day in the sun, it's really what your body needs. I went to a new Neurology Doctor because of our move to a new city.I have been Doctoring in the past 10 years for several Neurology problems. He took all of his allotted 15 minute office visit to tell me I don't have the problems that my other Doctors told me I have. I felt like he was incompetent. No tests other than Vitamin B-12 and D. He told me to call the nurse back a week later. I did and she told me that my vitamin B-12 level is 260 and the D level was 10. My TSH was 1.970, IgA Serum is 259.0, and Transglutaminase IgA autoantibodies is 1 unit. She said the Doctor told her to tell me go to the Drug store and take Vit. B-12 and Vit. D supplements. I asked what amount , was told whatever the bottle says to take for an Adult. I believe this Doctor was too eager to star his vacation. I feel lost. What should I do? I am a 58 year old runner, recently run a half marathon, lost it at 11.5 miles which wasn't good, as I had trained for it. Visit to GP, blood tested, and Vit D came back as low. Now on meds, but I feel so tired and weak, muscle aches, headaches you name it it aches. How long will I feel like this.